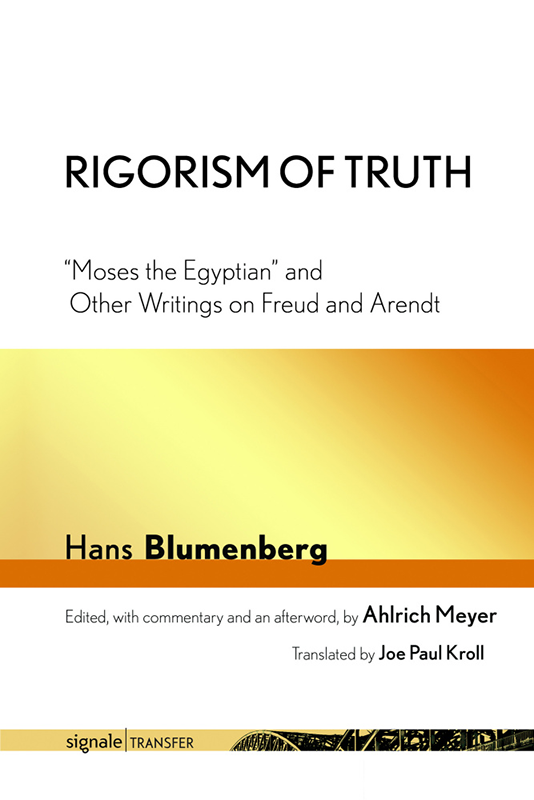 The late Hans Blumenberg was Professor of Philosophy, Emeritus, at the University of Münster and the author of books including The Legitimacy of the Modern Age, Work on Myth, and Paradigms for a Metaphorology. Ahlrich Meyer is a political scientist and historian; he was professor of political theory and the history of political ideas at the University of Oldenburg from 1975 to 2000. Joe Paul Kroll is a translator, editor, and intellectual historian. He received a PhD for his dissertation A Human End to History? Hans Blumenberg, Karl Löwith and Carl Schmitt on Secularization and Modernity (Princeton, 2010).